Curbside consults are commonplace in both hospital and ambulatory settings. Curbside consults are commonplace in both hospital and ambulatory settings. Sometimes a clinician has a simple question about a patient and doesn’t necessarily think that the patient needs a formal evaluation, but has some doubts about their own plan of care. 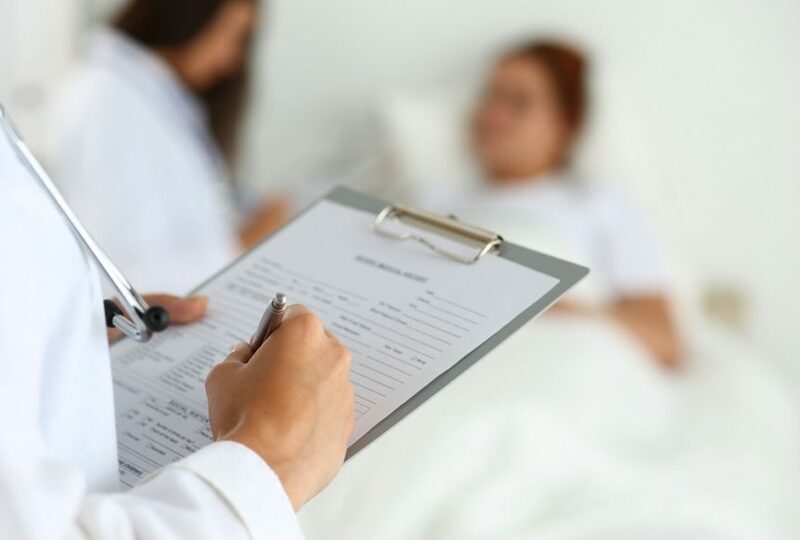 Curbside consults have become a routine way for physicians to explore their knowledge gaps in a collegial manner that can benefit the patients directly under their care without incurring additional costs for the patient. For example, a medical intensive care unit team caring for a patient following cardiac arrest might show me the rhythm strip from the time of the arrest and ask whether I think an electrophysiology consultation is warranted. I recall providing curbside consults frequently as a fellow, thinking that this was a quicker and more efficient way of managing really simple questions. However, after a few instances in which the physician requesting the curbside consult included my name in the patient chart — without my permission — and then botched my recommendations, I decided to limit my curbside consults to well-known colleagues. I would often encourage formal consults when it seemed the question was more complex than what was being presented. There have been times when I’ve been contacted about patients with chest pain in the emergency department by an emergency physician who just needed some reassurance. Other times, the presenting physician couldn’t answer the most basic questions about the patient, leaving me no choice but to ignore their question and see the patient myself. I’ve been asked for curbside consultation for all scenarios in between. When I provide informal consultations, I do it with the understanding that there are limitations. For example, maybe the information being provided by the treating physician asking the question is incomplete or inaccurate. Maybe there are subtle findings that I might pick up on the physical examination that might alter the recommendations I offer. There may be clues or details in the laboratory results and imaging studies that alter the final suggestions that I provide. We often do not know the entire picture, and what we are doing in a curbside consult is providing the treating physician with teaching and guidance — assuming that they have gotten everything right to the point of asking the question. As a fellow, I rarely considered that there might be a medical liability associated with the practice of curbside consulting. However, as an attending physician, the question of medical liability became much more apparent. Liability exists in any professional endeavor that we engage in — including curbsides. Rarely do curbside consultants get drawn into lawsuits. This is in part because of the concept of the therapeutic relationship.1 In a formal consult, the treating physician refers the patient to another physician to get a formal opinion about the patient’s care. You, as that physician, are providing a service to the patient. In an article published in the Journal of Hospital Medicine, Marisha Burden, MD, of the Department of Medicine at the Denver Health Medical Center and the University of Colorado Denver School of Medicine, and colleagues, reviewed 47 curbside consultations that later became formal consultations. The authors found that the recommendations given after a formal consultation were different from those following the curbside consultation in 55% of cases. Further, the formal consultation was thought to change the management over the curbside consultation in more than 60% of patients. So should we all stop asking for curbsides or answering them? Probably not. Medicine is a collegial endeavor and curbside consults may play a larger role than just patient care.1 Interpersonal relationships among physicians can be built on the occasional curbside, knowledge gaps can be identified, and ongoing learning is encouraged by the exercise. It is in our nature to communicate with each other, to be inquisitive, and to share information and expand our knowledge base. From a patient safety perspective, though, some ground rules should be followed. First, limit curbsides to academic questions that are useful for the general education of the physician.1 Avoid making or confirming diagnoses, which are prone to significant error and can have devastating consequences when wrong.1 Last, maintain a low threshold for converting an informal consult into a formal one.1 Often, I’ve seen fellows convert a formal consult into an informal one to lighten their load, particularly when questions seem straightforward. Don’t do this. It is always better to evaluate the patient, review the data, and write a short note then to trust someone else’s interpretation of the history, physical examination, and laboratory results. I can recall countless times when I was consulted for something seemingly simple and uncovered something more serious. For example, I was once referred a patient for “syncope” and discovered that he had a stroke just on the history alone. No authors listed. Curbside consultations. Psychiatry (Edgemont). 2010;7(5):51-53. Burden M, Sarcone E, Keniston A, et al. Prospective comparison of curbside versus formal consultations. J Hosp Med. 2013;8(1):31-35.